While sitting in traffic, you can feel your temper inexplicably rising. You hate the car in front of you. You hate the cars next to you. You hate what’s causing the delay. And you hate the motherfucking shoulder passers. Trust me, Subaru driver. I feel your pain. I might not have acted on said pain in the same way, but I understand. 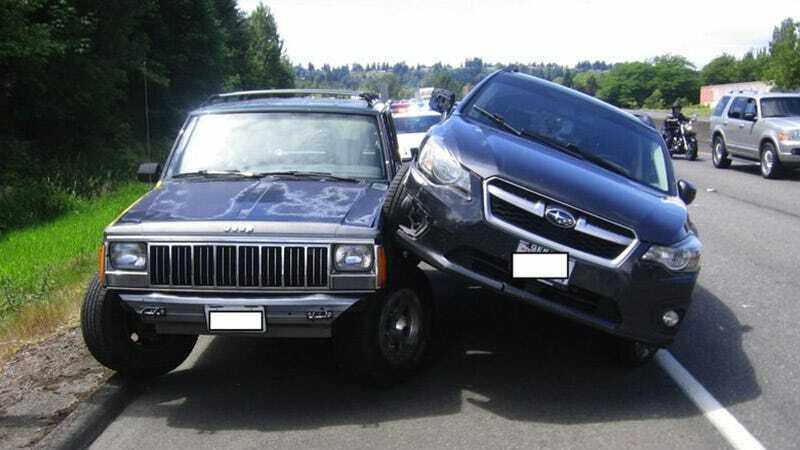 According to The Seattle Times, the driver of this Subaru Impreza, stuck in traffic yesterday on Highway 516 in Kent, Washington, was getting extremely frustrated with the cars that were using the shoulder of the highway to pass. As you do. When a Jeep Cherokee pulled onto the shoulder behind her, she moved partially onto the shoulder, causing the Jeep to move over even farther. Then, the driver of the Subaru struck the Jeep “at least” three times, she later told an officer, according to Trooper Rick Johnson. The two vehicles then got entangled. At least three times! Goddamn! She must have been really mad if one tap wasn’t enough. Both drivers, according to Johnson, received tickets for noncriminal negligent driving in the second degree. 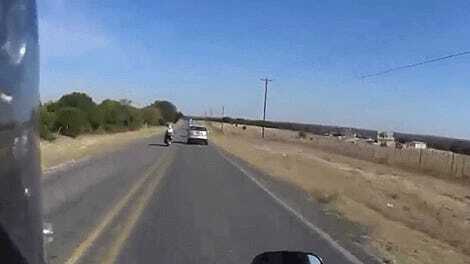 Friends: don’t let road rage get the best of you. Go to your happy place. Be your happy place.